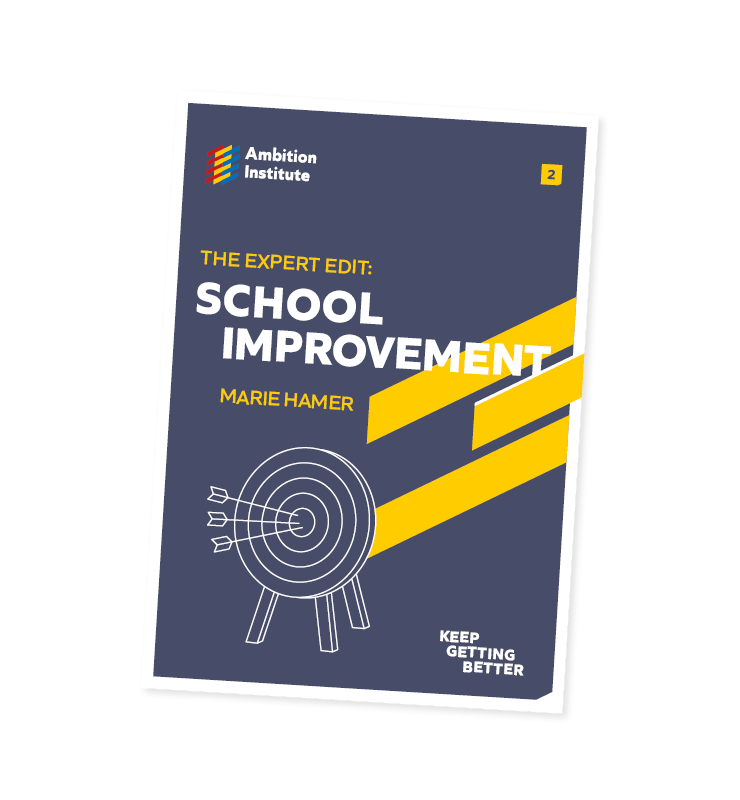 Read Marie Hamer's thoughts on the best conversations in school leadership. Three high-impact articles hand-picked by Marie Hamer. Answer questions at the end of each article to reflect on how you do things at your school. Find out more about our new organisation and its aims. Our programmes support new teachers all the way to MAT CEOs. Find out more about our offer. Read, share and join the conversation to #keepgettingbetter. Ambition Institute is a new graduate school for teachers, school leaders and system leaders. We’re on a mission to help educators serving children from disadvantaged backgrounds to keep getting better. We want to ensure there are expert teachers in every classroom, being led by exceptional school leaders at all levels. Through our suite of programmes we’re now able to support educators at every stage – from new teachers through to MAT CEOs and trustees. We know that children from disadvantaged backgrounds don’t do as well at school and we know that improving teaching and school leadership is the best way to fix this. Our programmes are informed by the latest research and the lessons we’ve learned from great teachers and school leaders like you. We don’t have all the answers, but we use both evidence and the wisdom of experts to guide our way.